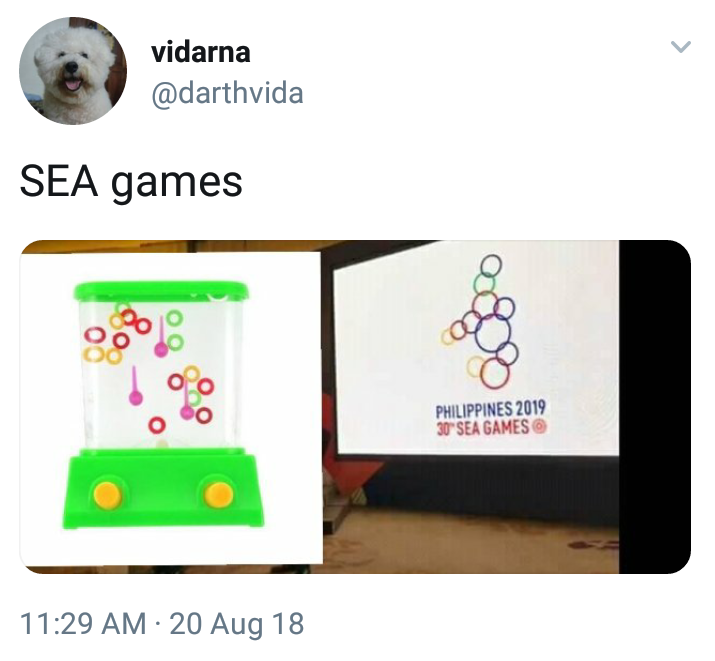 Philippine SEA Games Organizing committee revealed the proposed logo for the 2019 SEA Games. 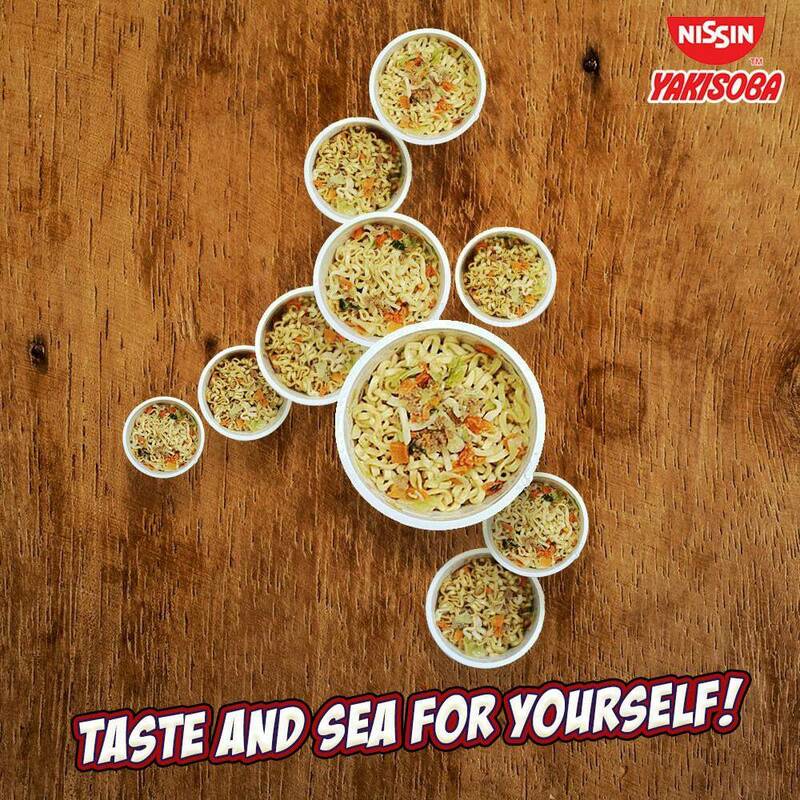 Logo draws flak from netizens. 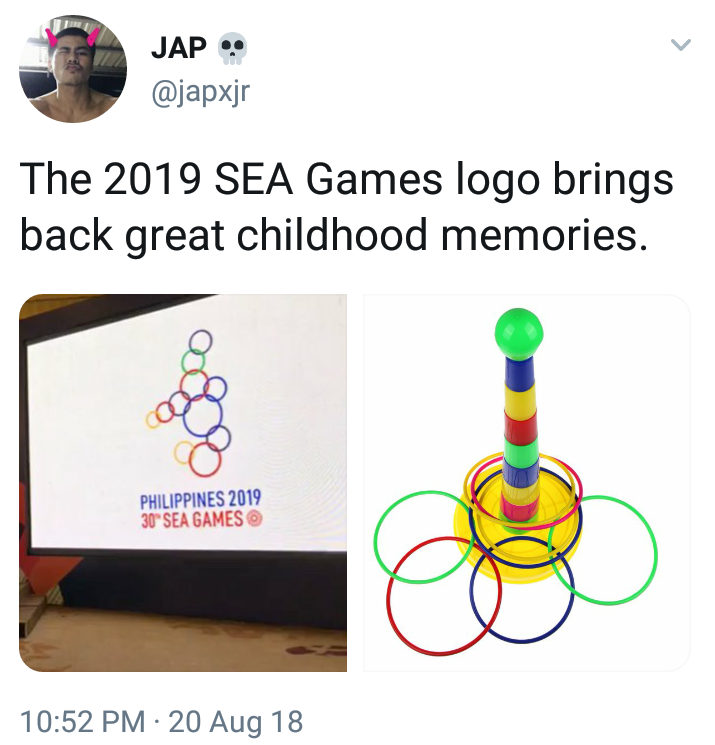 The 2019 Southeast Asian Games will be hosted by the Philippines, and the logo is one of the most important components of the event. 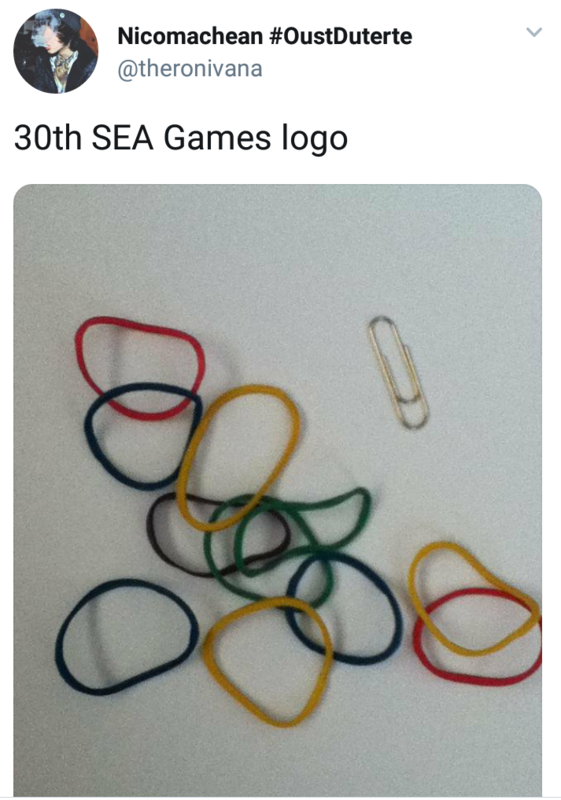 Foreign Affairs Secretary Alan Peter Cayetano, who is also the chairman of the Philippine SEA Games Organizing Committee (PHISGOC), just presented the proposed logo for the sports meet on Sunday during the general assembly of the Olympic Council of Asia. The design has a minimalist approach. 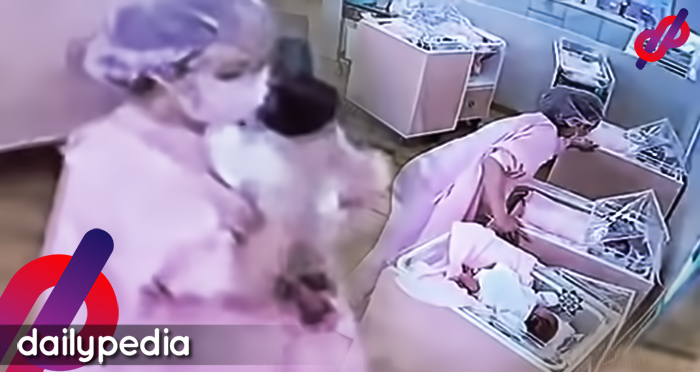 However, netizens weren’t quite impressed with it. Some found it mediocre while others found it downright hilarious. 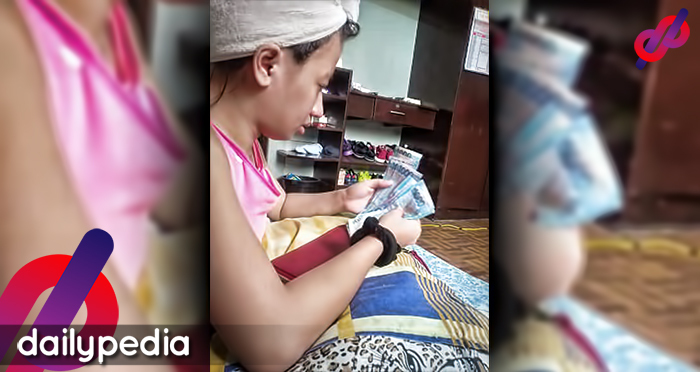 There were some who compared it to rubber bands stacked together and other vintage toys. There are also netizens who compared it to condoms. 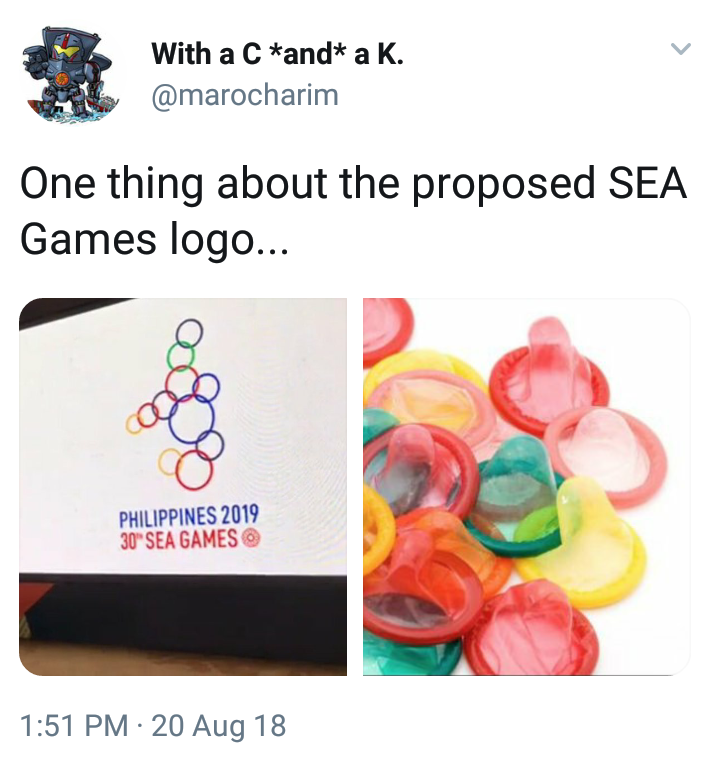 This Twitter account even edited the logo to resemble rubbers (or condoms). 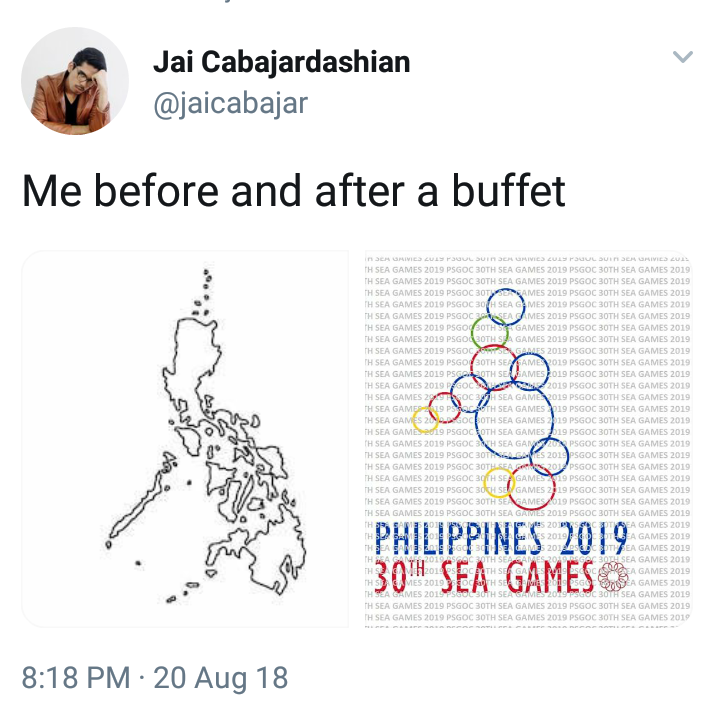 And someone thought the logo was a post-buffet version of the Philippine map. 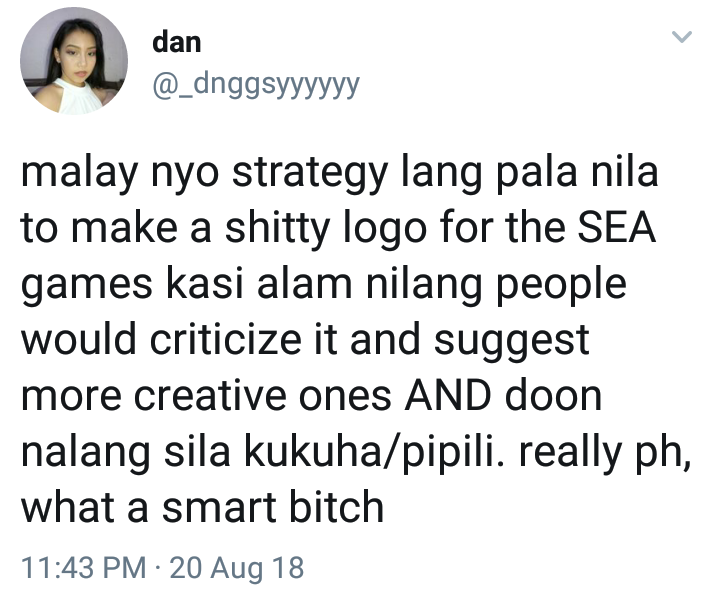 malay nyo strategy lang pala nila to make a sh*tty logo for the SEA games kasi alam nilang people would criticize it and suggest more creative ones ANG doon nalang sila kukuha/pipili. really ph, what a smart b*tch. 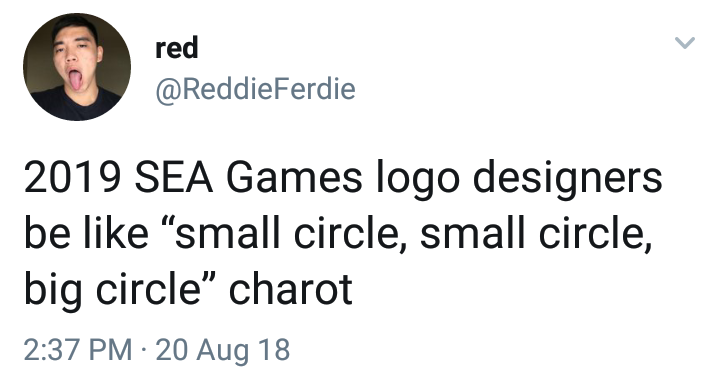 Netizens weren’t the only ones that found humor in the fiasco as consumer brands also made their own versions of the design as a way of promoting their products. 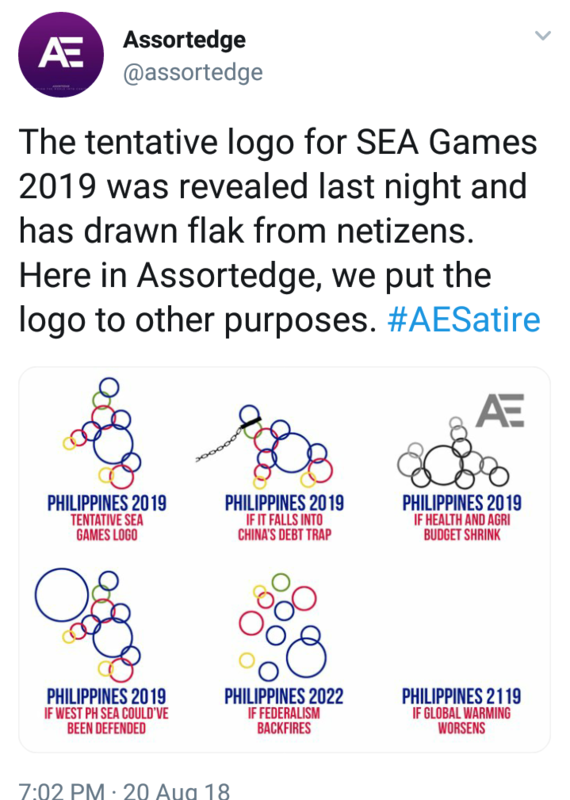 While netizens get their laughs at funny edits popping up online, the PHISGOC’s social media and marketing team clarified that the logo is just a ‘peg’ and the final version will be released on November 30. 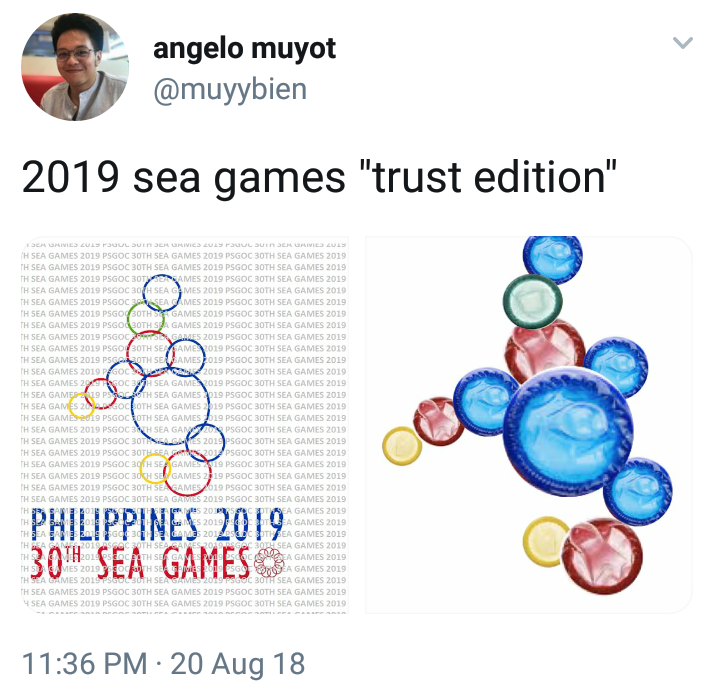 According to an article at spin.ph, Philippine Olympics Committee secretary general Patrick Gregorio said that it is just an “idea” as the POC has not yet released an official statement about it. 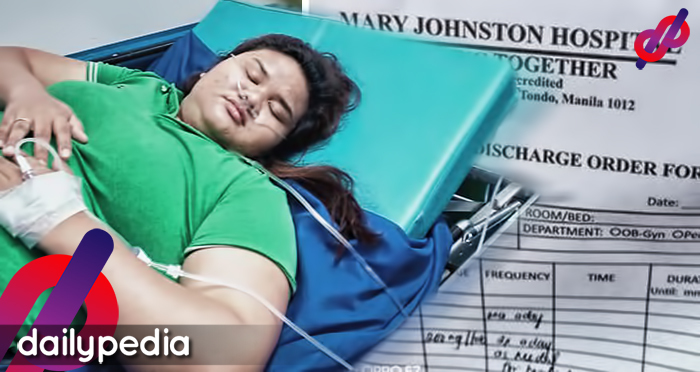 “Kumbaga sa marketing aspect, PEG lang yan. The POC didn’t even have an official statement about it. 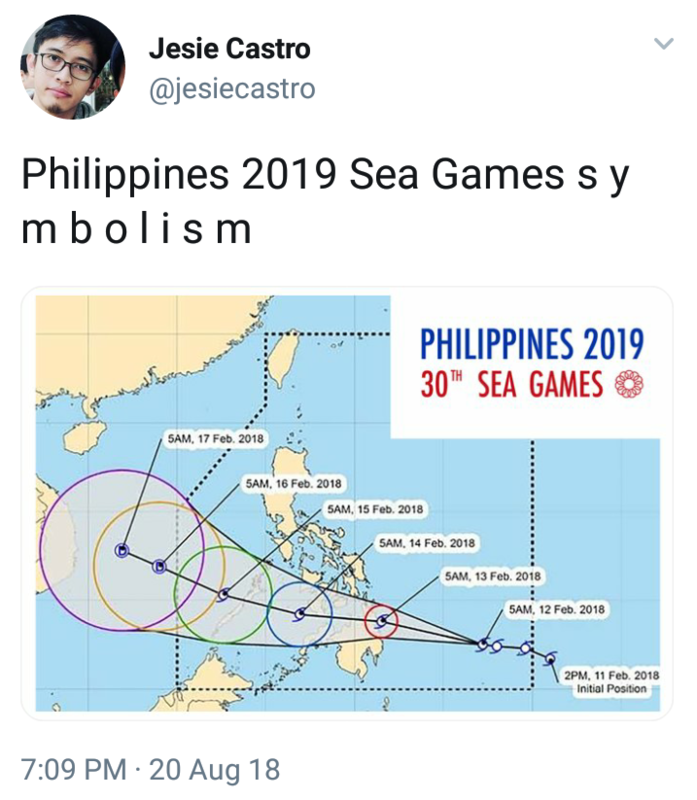 The marketing team of PHISGOC also released a statement on Monday saying, “Pakisubaybayan natin sa Nov. 30 sa taong ding ito ang lahat ng kumpirmasyon. 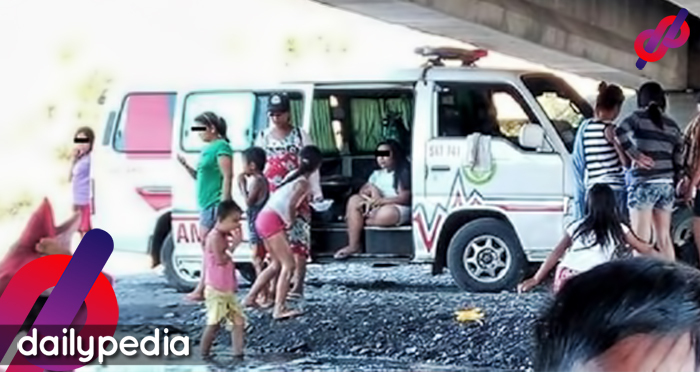 Ayon sa napiling ideya at interpretasyon ng committee, ang inilatag na logo, motto at mascot ay hango sa pagbubuklod-buklod bilang isang pamilya. 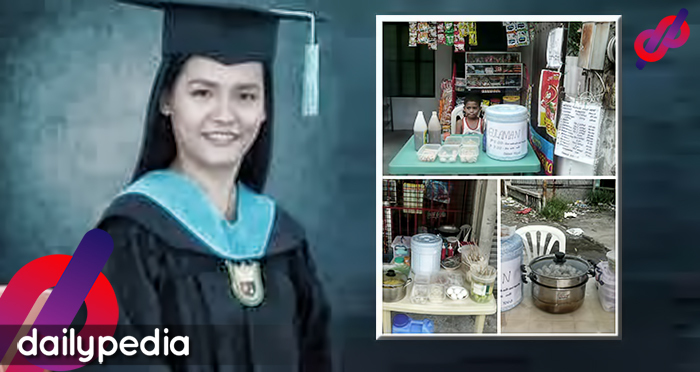 Ang inyong mga ibinahagi namang imahe at suhestiyon ay nai-sumite sa kanila noon pa man at inireview.